Chocolate lovers rejoice for this deliciously decadent dessert. Nothing can beat the combination of ooey gooey chocolate melting from the center of warm cookies. To make these chocolate chip lava cookies, simply sandwich melted chocolate between two scoops of cookie dough and bake for an easy, satisfying after-dinner treat. For even more fun, make these lava cookies with a variety of molten filling. Chocolate chip cookies would pair well with a white chocolate or dark chocolate filling. You can even melt peanut butter chips! And if the chocolate inside isn’t enough, garnish the cookies with more melted chocolate and serve with a side of plain vanilla ice cream. These cookies will keep for several days in an airtight container. Before serving, reheat the cookies in the microwave and let them sit if they're too hot. 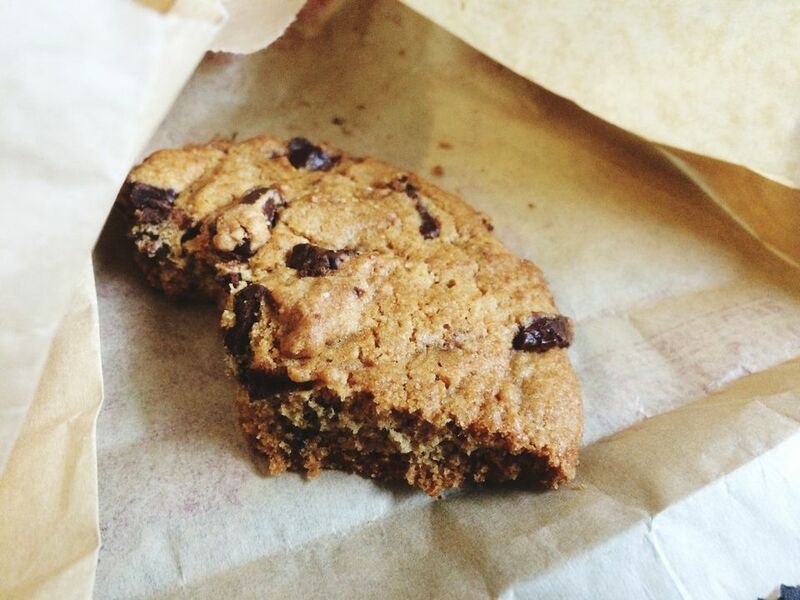 Of course, cookies are always best served fresh. If you want to make this treat ahead of time, prepare the cookies in the muffin pan and refrigerate overnight before baking. The morning of, simply bake as directed. Lightly grease a 12-cup muffin pan with oil spray. Place 2/3 cup of the chocolate chips into a microwave-safe bowl and melt the chocolate chips, in 30-second intervals, until completely melted. Set aside. Cream together the butter and both sugars in the bowl of a stand mixer fitted with a paddle attachment. Add the egg and vanilla and mix until well blended. Add the flour mixture and mix until just combined. Pour the remaining chocolate chips into the bowl and mix until they're evenly distributed. Place 2 Tbsp of the cookie dough into the bottom of each prepared muffin cup. Press down on the cookie dough to flatten it, creating a small well in the middle. Place 1 Tbsp of the melted chocolate over each flattened dollop of cookie dough. Refrigerate the cups for 3-4 minutes. Scoop 2 more Tbsp of the cookie dough on top of each of the refrigerated cups and press around the edges to seal the melted chocolate in the middle. Bake on the bottom rack of the oven for 23-25 minutes, until golden brown. Remove the cookies from the oven and run a knife around the edges of each cup to loosen them from the pan. Let cool for 15 minutes, and then carefully remove the cookie cups by inverting the muffin pan onto a cookie sheet. Serve immediately with vanilla ice cream.